The Russian Church “Saint Nikolay Wonderworker” is a Orthodox Church located in the heart of Sofia on “Tsar Osvoboditel” Blvd. It is among the iconic buildings of the city of Sofia. Its construction began in 1882 and continued for many years. The church was consecrated in 1914 on the eve of the First World War. The building was built on a plot of Russian Embassy designed by Mihail Preobrazhenskiy specifically for the needs of Russian immigrants in the capital. The murals were painted by a team of artists led by Vasily Perminov (one of the authors of the wall paintings in “Alexander Nevsky”). The five small domes of the church are gilded. The central dome is high 19 m. The bells were donated by the Russian Tsar Nicholas II. Originally conceived as a chapel at the Embassy of Russia in Bulgaria, the temple almost immediately loses this role after 1917. After the Second Russian Revolution priests and bishops from the so called “Russian Church Abroad” began to serve in it and the temple became a center of the numerous Russian immigration in the country. After 1947 the church was handed over to the Moscow Patriarchate, which manages it until today. Architecturally the temple was built in the traditions of Russian church architecture of the 19th century and the ancient Russian elements are kept – the so called “Bulbs” (domes), in combination with the traditional Old Russian mosaics and carvings, it bears the scars of more modern architecture and painting. Typical plan of the temple is a non-axial location of the entrance to the altar. I.e. entrance is on the south side, and the altar, according to ancient tradition, pointing to the east – two elements form a right angle. In the crypt of the church is the tomb of Archbishop Seraphim Sobolev, considered by many Orthodox Christians for miracle worker. Thus appears the practice before important cases different people – believers or unbelievers, to visit his grave asking for miraculous help. Opening hours from 08: 00-18: 30 every day. 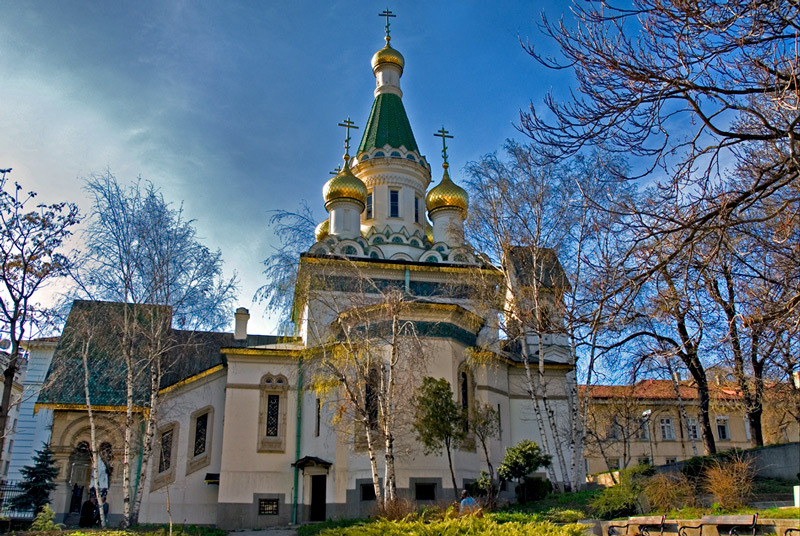 The Russian Church is located 15 minutes walking from Central Hotel Sofia. 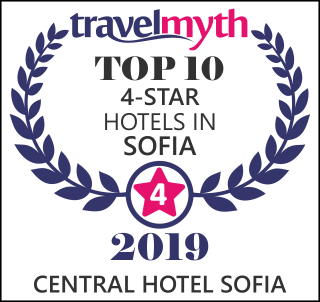 More about sightseeing site in Sofia could read here.